Winter Haven, Florida isn't exactly a place you might seek out if you're planning a visit to Florida; it's a little town pretty much smack-dab in the middle of the state and their biggest attraction is Legoland. All we knew going there was that my aunt and uncle live there and run a small flight school out of the municipal airport. 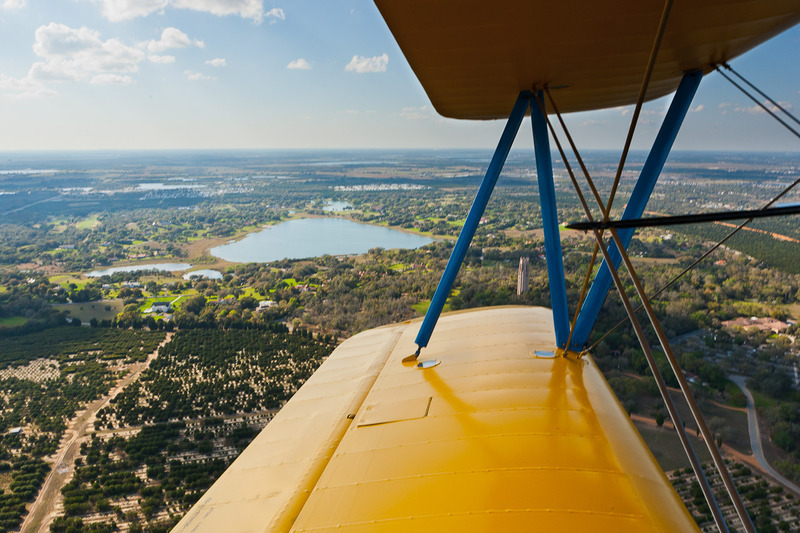 Despite the small-town central-Florida vibe, it's nestled among fragrant orange groves and is known as "The Chain of Lakes City" because of it's 45 lakes within city limits, 25 of which are connected by canals. But we weren't there to sight-see, we were there for a joy ride in my uncle's 1941 World War II Stearman biplane. 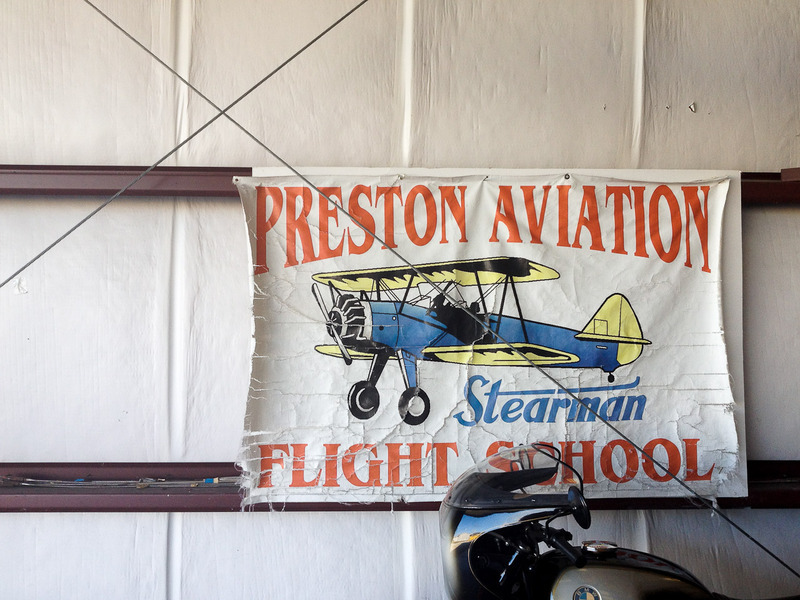 Tim Preston and his wife Peggy have been running Preston Aviation from various locations along the East Coast since 1993. Tim has been flying for over 30 years and knows pretty much everything there is to know about airplanes; he's a licensed pilot, instructor, mechanic and inspector. 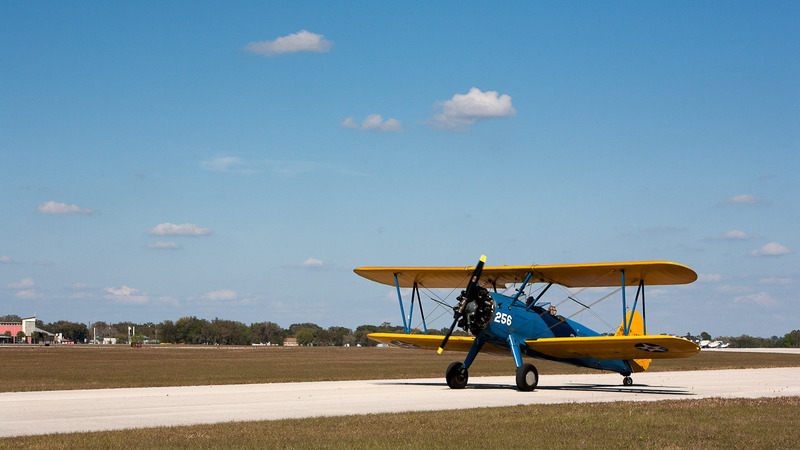 He has a Piper J-3 Cub, a small, light, bright yellow training plane with a black lightning bolt running down both sides, and a Stearman, a big blue and yellow open-cockpit biplane built in 1941. He offers instruction and training as well as rides in both planes. We arrived at the airport on a warm, cloudless afternoon and were greeted by Peggy who drove us over to the hangar in a golf cart. Tim had the Stearman out and ready to go. There's only space for two, so I suited up first in a leather bomber jacket, climbed up onto the wing and hopped in the front cockpit. Peggy gave me a brief explanation of the controls and what to do during flight (basically, sit back and enjoy) and strapped on my headset so that Tim (who would be flying the plane from the rear cockpit) and I could communicate. Tim started the engine and steered the plane towards the runway. Once we got to the long strip of runway, we started to pick up speed and all of a sudden we were in the air. We climbed to around 1000 feet going about 90 miles per hour and spent the next 20 minutes or so touring the area. The land was polka-dotted with lakes and I could see for miles and miles. After a long, wide loop, we were back near the airport and Tim warned me that it was time for stunts. Lazy eights were first; we flew up at a steep angle, then turned and nose-dived down to the ground. Then up again, then down. It was like a roller coaster, where you get that weightless feeling in your gut on the way down, except we were 1000 feet above the ground. Then we went into a tailspin, which is exactly what it sounds like; a lazy spiraling nose-dive. We started to descend to make our landing and smoothly glided until the wheels touched the runway. Being up there, out in the open was a totally unique experience. All your senses are heightened and it really feels like you're flying. It's loud and exhilarating, you feel the wind on your face and you can't help but smile the whole time you're in the air. Flying with Tim was a great way to begin our trip and if you ever find yourself in Winter Haven, go by the airport and take a ride. 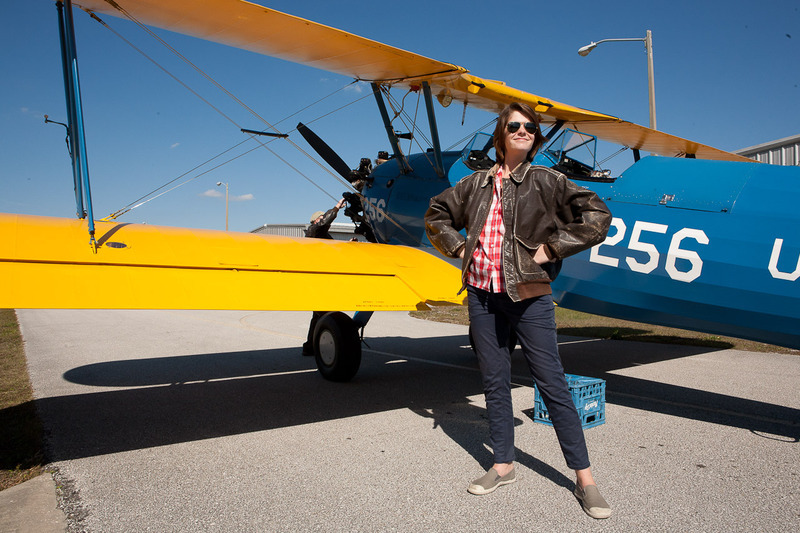 Special thanks to Peggy P. (who suggested Go for a flight in a 1941 WWII Stearman biplane ride) for making this blog post possible!